Beyond the bright lights and bustle of Tokyo lies a side of Japan that most don’t have the opportunity to experience. 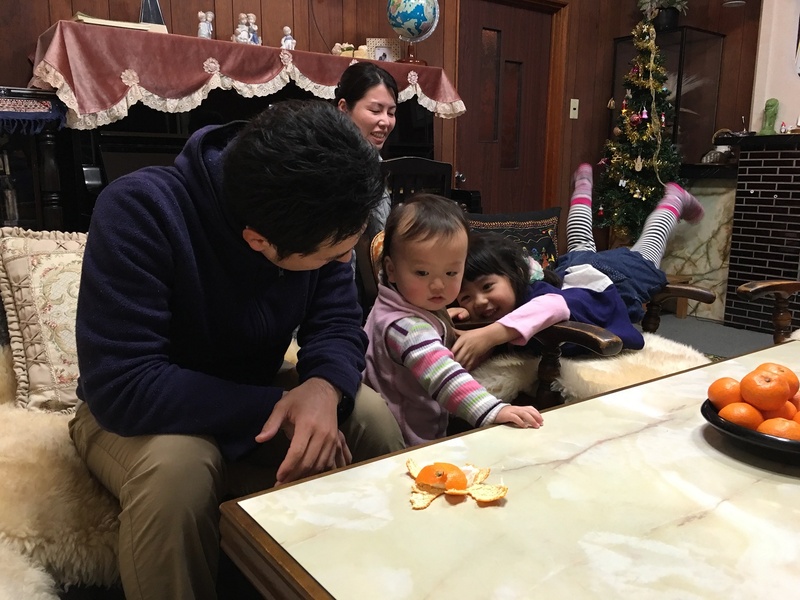 In a homestay organized through the Japan International Cooperation Center, I was able to spend two days and two nights with a family in Kuji and experience the wonders of rural Japan. Kuji, a quiet town in Iwate Prefecture with a population of about 45,000, is approximately three hours away from Tokyo by shinkansen (bullet train). As I rode along at 220 mph, I was fascinated by the rapid change of scenery: Japan quickly evolves from the dense amalgamation of Tokyo into more spacious, but still highly developed pseudo-Tokyo suburbs, then suddenly opens up to vast grassy plains and snow-capped mountains. The narrow streets lined with traditional villages hearken tranquility and nostalgia. Upon arriving in Kuji, I was placed with the Shimizus, a tri-generational family with eight members. I was immediately struck by the fluid compassion of their group dynamic. The line between aunt and friend is blurred, just as the distinction between son and son-in-law is nonexistent. This overarching altruism extended to me. From the moment I set foot in their house, I was not just taken care of, but rather cared for. Omotenashi is a Japanese word that translates roughly to hospitality; however, to the Japanese, it is a way of life, not just a noun. Omotenashi is something that you live, not something that you do. Within a few minutes of my arrival, the Shimizus served me green tea with mikan (mandarin oranges) and told me to make myself at home. 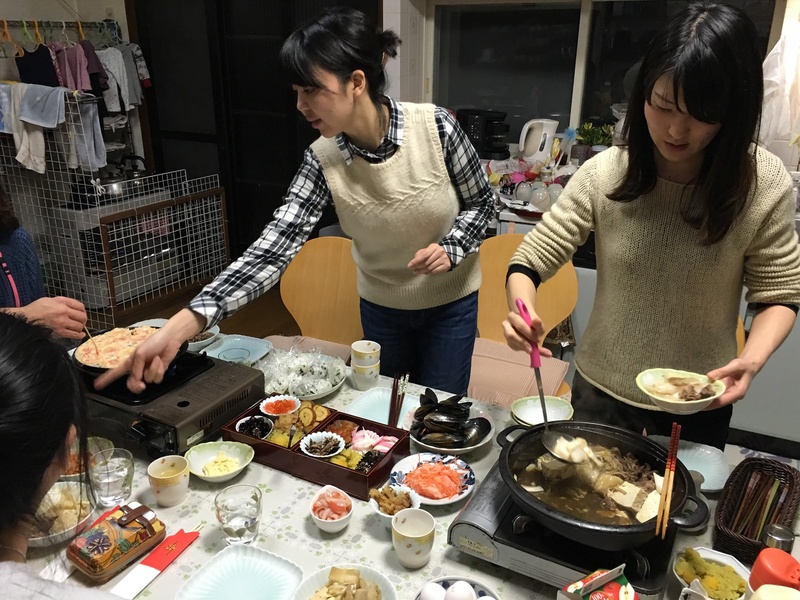 As I used my elementary proficiency of Japanese to make fragmented small talk with patriarch and matriarch Kyoichi and Kyoko, their daughters Ayako, Mika, and Satoko prepared dinner in the kitchen. Satoko’s young daughter Ichika and infant son Soshi buzzed around nervously until the food was ready and everyone migrated to the kitchen. Sitting at the dinner table, the Shimizus treated me as one of their own. They allowed me to pick my sashimi first and made a point to continuously offer me more rice. After dinner, as I sat underneath the kotatsu, sharing dango, apples, and persimmon with Ichika, Mika, and Moto (Satoko’s husband), I began to settle in. The next day, the Shimizus took me on a grand tour of their hometown, showing me Kuji’s past, present, and future. At a local Buddhist temple, I was able to see where Kyoichi’s parents were buried. In the downtown area, I was able to eat the best tonkatsu ramen in Iwate. At Universe (a Target-esque Japanese chain supermarket), I was able to see middle-class, everyday life in its purest form and buy matcha Kit Kats. At Kuji City Hall, I was able to explore a museum detailing the town’s history and read through a few Japanese children’s books in the town library. We ended the excursion by observing some of the town’s most scenic views. Kuji is wedged between the sea and the mountains, creating strong displays of natural beauty at every turn. The gentle waves and ancient rock formations that line the town’s perimeter seem eons away from the sharp angles of Tokyo. That night, after helping prepare osechi (a special box of food traditionally served at New Year) for dinner, I sat underneath the kotatsu as each member of the Shimizu family gave me an omiyage. Though omiyage translates to souvenir, much like omotenashi, the word is so deeply enveloped in culture that no translation could accurately convey its meaning. Omiyage are parting gifts, thank you presents, and representations of the linkage between two souls. Mika gave me a Japanese New Year’s ornament, Ayako gave me traditional Japanese face makeup, and Satoko gave me a gorgeous ivory hairclip. Moto crafted me an origami star, while Kyoichi and Kyoko gifted me with nori (dried seaweed). Ichika overcame her shyness, meekly handing me a box of mushroom-shaped chocolates, an omiyage from her and her baby brother. With all of their gifts in front of me, I felt wrapped in the warm ease of belonging. By way of omotenashi, they had accepted me not only into their home, but also into their family. The next morning, I relished my last few hours with the family before gathering my things to head back to my hotel in Tokyo. We exchanged contact information as I thanked them for allowing me to stay in their home. When it was finally time for us to part, the Shimizus sent me off not with a sayonara (goodbye), but rather with atode ne – see you later: a symbol of the connection we had made and an invitation to keep it alive. Wow! Sorry if I missed this, but how did you come to stay with a Japanese family? The Japanese are very hospitable people as you discovered. Thanks for taking us on that journey with you in your post. Well done. The hospitality of the Japanese always encourages us to go back more often. Thanks for taking us along on your journey Jamie. Great story of Japanese hospitality. What a great experience and cultural immersion. Thx for sharing.